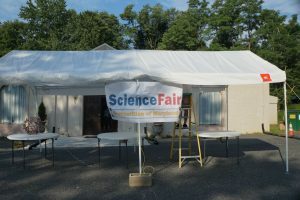 Our 4th Annual Science Fair Competition of Maryland arrived on July 27-28th from 9am-12pm. Our Interns came back from the previous year, which was such a great help! 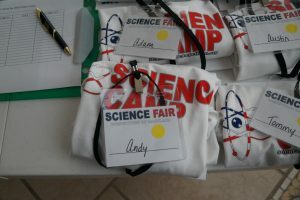 We placed science camp signs around town, sent email blasts and Facebook posts. We had twenty children, ages 11-16, registered. We really enjoyed using the same topics we used from the last summer camp which were: Reverse Engineering, Innovation and Creating. 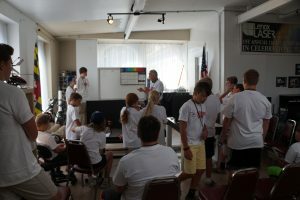 Introducing Reverse Engineering was one of the best topics to to start with for the science camp. 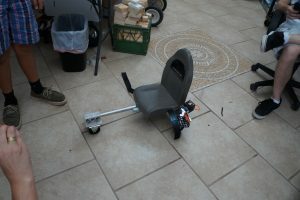 We had gathered motors from remote control cars, lawn mowers and weed whackers so they could understand using old engine parts to create something new. We taught them how to bring old technology which helped them create a new idea. 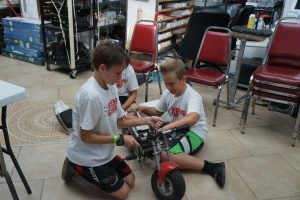 Besides having more fun than any other camp, our main goal for the Science Camp was introducing an interchangeable technology called E-BLOX, which are 1/2″, 1″, 2″, 4″ aluminum blox that you can put tubing or rods into, for building truly anything like a desk, bike, bench or tables but not limited to any big structures. The E-BLOX technology has endless applications. The children understood right away how the E-BLOX can help them create and invent. 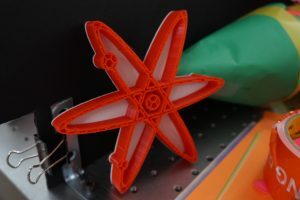 We then introduced them to the newest innovations such as the 3-D printer which is a process of making three dimensional solid objects from a digital file. They played with the laser marker and wrote their names. Another fun innovation which everyone loved was the Sphero, which is a ball you can direct around using a mobile device. “At this point, Children were beaming!” Seeing and learning how a laser works and the different power of each color of light was a big hit! They had their safety glasses on and they all looked so cool! We introduced the E-BLOX competition and the children picked teams and started drawing out and putting together their own inventions. 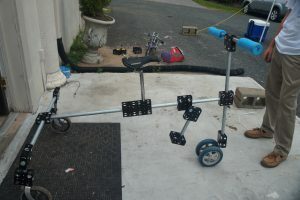 We were so impressed with the time they had, how they put together the most creative structures from a very large three wheel bike to very tall robot. For extra crazy fun, the children got to make their own engine rockets that took serious flight. Also, the children decorated about eight 2 liter bottles and made water rockets out of them, it was so much fun setting those off. 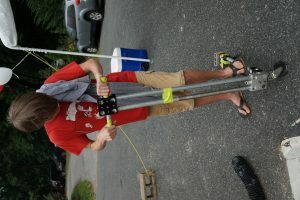 We had a few water rockets go as high as 100 feet. We also had very large balloons filled with hydrogen and oxygen and one of our science guys lit the rope with fire and the balloon exploded with a very big BANG!!! The closing ceremony is always bitter sweet, each child received an award with their name on it and a drone they can control by a mobile device. Each of the children’s smiles and their little thank yous are unforgettable. We truly appreciate the hand written thank you notes and sweet emails. Here’s a few from the children.